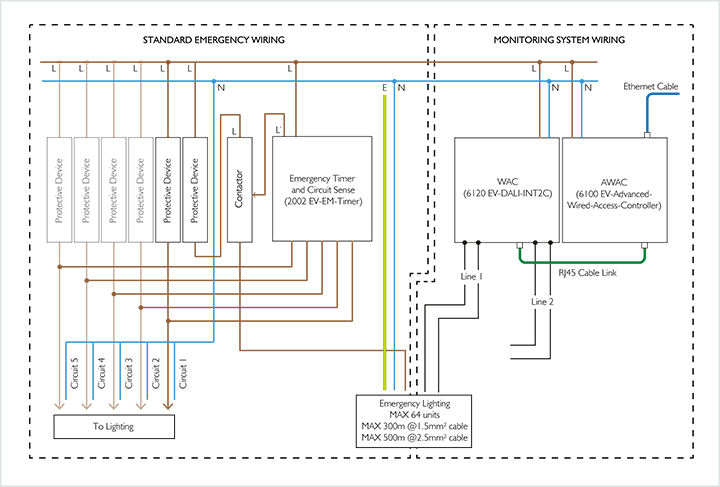 Below is the suggested wiring diagram for the AWAC to a basic standalone emergency system. The AWAC should be installed at the distribution board. Each WAC can support 2 lines of 64 emergency devices. 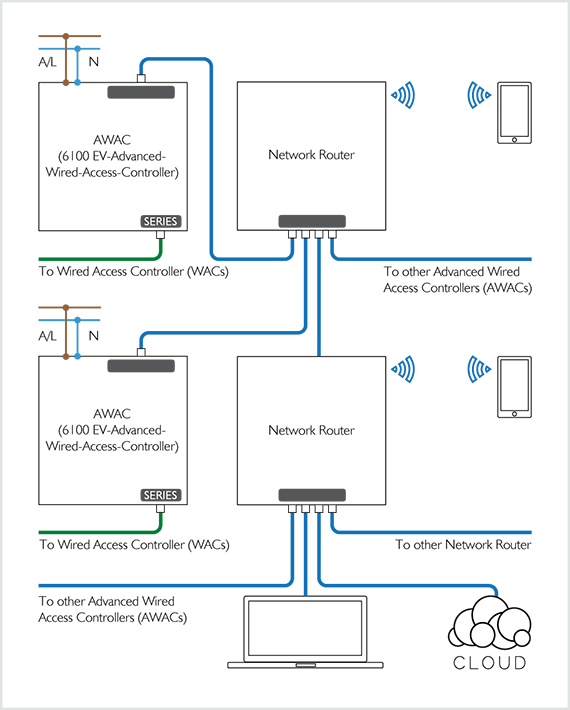 DIAGRAM 1: Monitored system wiring. Multiple AWACs can be connected together to create a larger system. Using CAT5 cable each AWAC can be connected to an Ethernet/IP router network. Other devices such as PCs, smart devices, wireless routers and even an internet modem can be connected to this network. NOTE: The network needs to support 10/100 switching. If wireless routers are connected to the system they should ideally be placed in a position to give the maximum coverage throughout the building. Below is a typical example of a building layout. 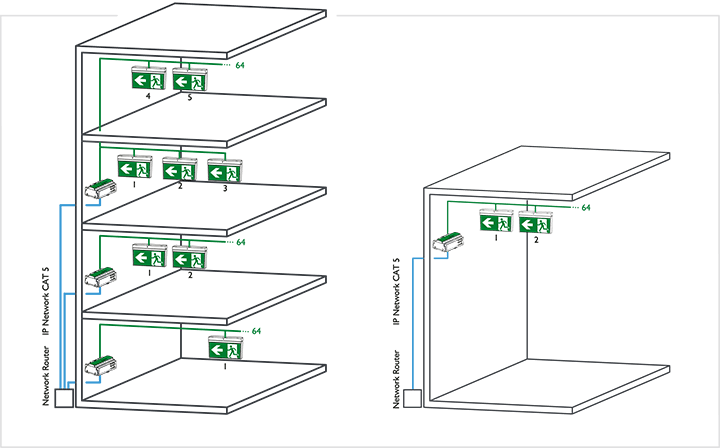 Ideally, an AWAC should be placed on each floor and connected to a central router. 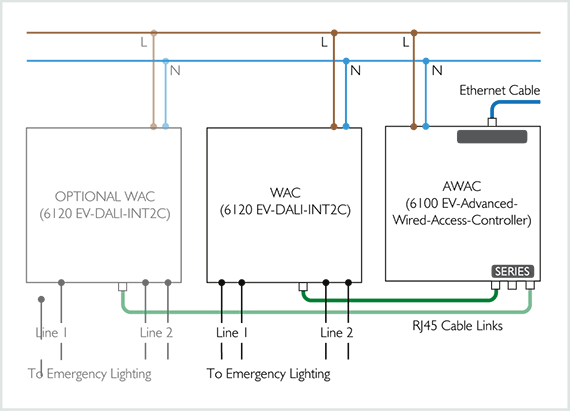 It is possible to wire a number of floors to a single AWAC, as long as the maximum cable runs are not exceeded. Smaller networks are easier to commission and control. Each line can support up to 64 emergency devices.